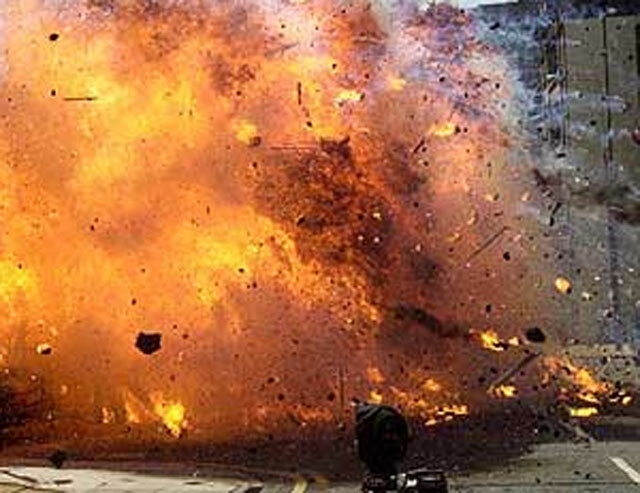 PESHAWAR, Sept 26 (APP): At least eight persons including four policemen sustained injuries when an improvised explosive device (IED) went off at Sarokalley area in Charsadda district on Monday morning. Police said the mobile van of Sarokalley police station was on routine patrolling when it was targeted near Masal Khan village in Shabqadar tehsil with remote controlled IED. As a result of explosion, SHO Sarokally police station, Walayat Khan, constables Zakir, Ayaz and Faheem along with four civilians moving in a car sustained injuries. The injured were shifted to hospital. Police started search operation in the area.